Designed to find textures inside any uncompressed files. Any size, any pixel bit format, any binary file. It only requires that the file be uncompressed. This tool is intended to be used by researchers and developers with a good understanding of bitmap formats. VERSION 1.3.2 is the last one of this first series. 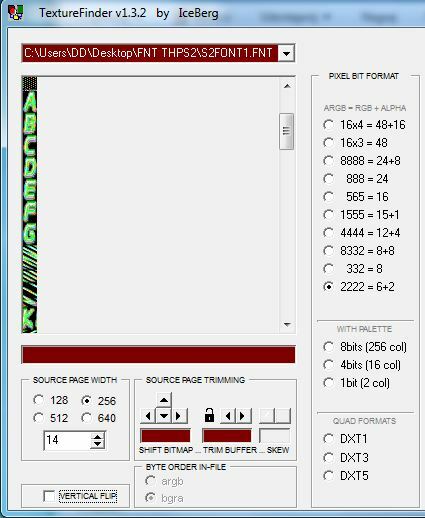 Newer and better version of TextureFinder. Tile Molester, or TM for short, is a program that facilitates the viewing and editing of raw graphics data; that is, graphics contained in arbitrary binary files, where one usually doesn't have initial knowledge about the location and/or format of the graphics. The main area of application thus far has been videogame console binaries. In most cases, these files contain a large variety of data, not just graphics -- sound data and actual game code are two examples. Collections of data in one and the same file may be interspersed in any conceivable fashion, subject to hardware/software-constraints of the intended runtime-environment as well as the decisions made by the producers of the binary (the developers). TM is a kind of visual explorer of such files, in that it allows the file contents to be interpreted and displayed in a multitude of ways. By perusing the file and tweaking the settings of the renderer, the binary data that corresponds to graphics may be made accessible in the way they are intended, and edited to the satisfaction of the user. If you know any other useful programs to search for graphics in files, you can share here. Rainbow is a tool intended to convert different graphics formats from video games assets to and from user editable images (like png). It currently supports almost every variant of the TIM2 format. The main difference with other great tools like Tile Molester and Crystal Tile 2 is to provide direct support to proprietary graphics formats found in "new generation" consoles, like PS2, PSP, Wii, etc., instead of dealing with just the raw image data. The underlying image library has almost complete support to TIM2 texture files usually found in PS2 and PSP games. 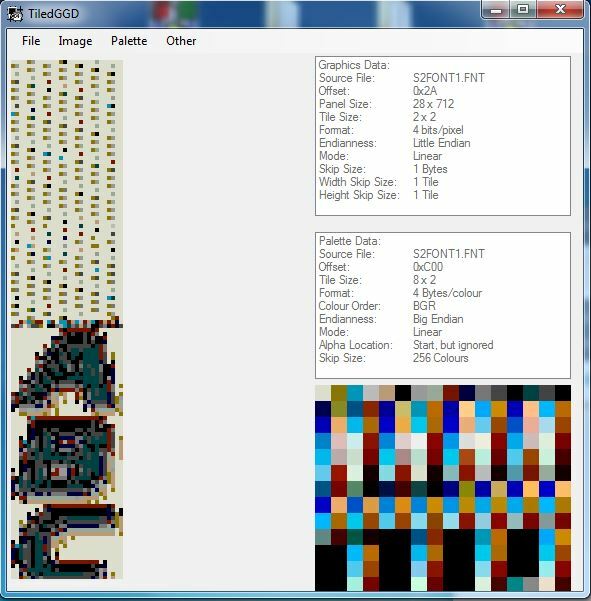 The app supports multi-layer, multi-clut, swizzled (PSP)/unswizzled TIM2 images with both linear, interleaved palettes, and segments headers eventually extended with custom user data (usually used by programmers). Can open textures in any format supported by the underlying image library. Can open whole folders in search of supported texture formats. All known texture files are then displayed in a list. Can export and import textures in suitable image formats for editing (like png). Any additional information specific to the texture is preserved when exporting/importing (like the TIM2 header data), in order to have a one-to-one correspondence with the original texture. 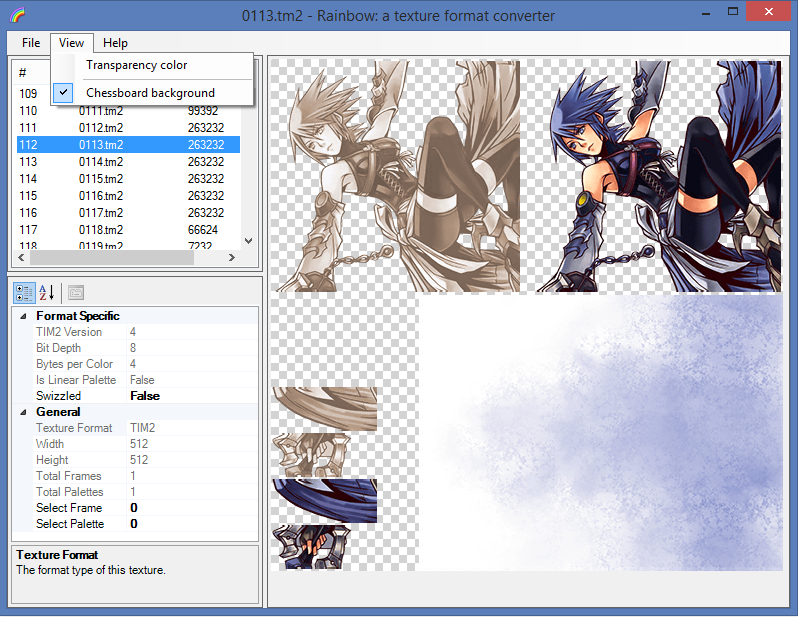 Customizable background color for transparent and semi-transparent images with chessboard like pattern. Finally, Rainbow supports parameters via command line: the first parameter is the name of a texture you would like to open. 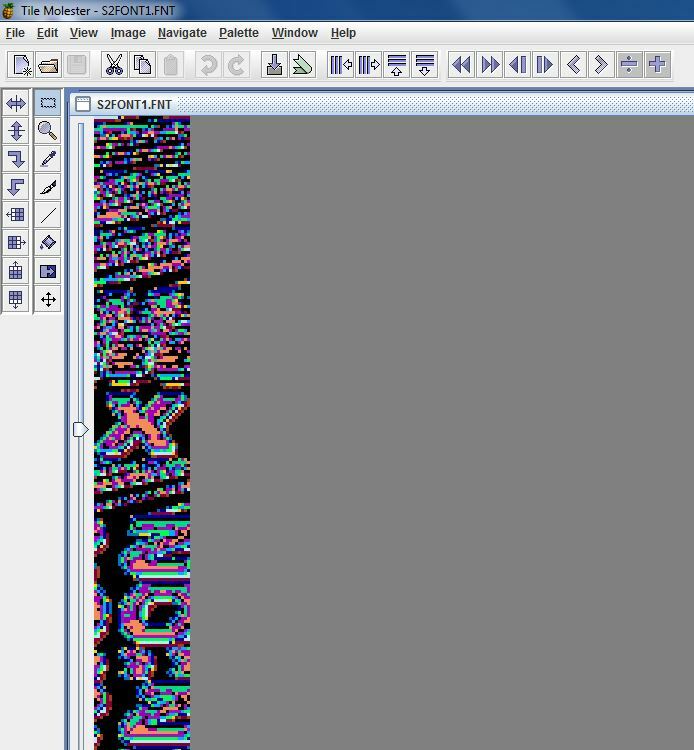 Console Texture Explorer (PSP/PS2) is an application that allows working with PSP and PS2 textures. It helps to minimize manual work during texture resources manual scanning and graphics data research in raw archives. Hello, a question with this are the textures of fifa 07 of ps2?